Restaurant and food ordering is a huge domain. No wonder even the smallest of the restaurant business is diverging their ways towards mobile app. Its all about the tech-driven business. Now, it can empty your pocket to get one if the finest restaurant apps developed. Some R&D on best companies, cost of developing a restaurant app, latest trends users expect, features that competitors business integrate should be considered before shooting right at the development stage. You won’t go around investing in something without scrutinizing its benefits. Let’s hop on the ride of ravishing benefits you can pull out by taking your restaurant business on the digital platform. 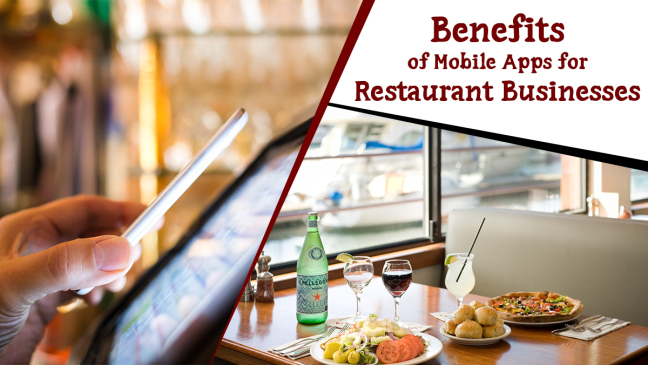 Your restaurant business can capture an increased amount of eyeball through a mobile app. If converting your business to brand is your agenda, the app is the path you should follow. Fliers, word of mouth and pamphlets are antiquated tactics for promotion. Whats in trend is notification which cannot be pushed in the absence of an app. When the users are updated about the new dished, improvement in the services, enhancement in the ambiance through the app, users are engaged and retained in a better manner. The customers can reach out to the restaurant directly and instantly. They are at the ease of ordering food through either a call or through messaging or through the app. When it is about the food ordering, not all users have similar taste, some might be satisfied while some might not be. Feedback feature will help the restaurant owners to know which are the sections to be improved and give more satisfaction to the user. A mobile app is one of the best business promotion tools. Along with adding a new channel for revenue, the app also covers the cost of promotion. I think you have got enough reasons on why should you indulge in a restaurant app development. Now let’s move on to how should you hire the right company. 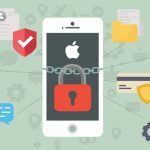 Here’s a list of questions you should be asking to the restaurant app development company you are looking to hire. 1) Can I check the apps you have already built? The app does have all the features which other restaurant apps have. What set this company and its app apart is that it was the worlds first food ordering app (EatEasily) which integrated the ability to order even in the offline mode. Now, this was an innovation. Majority of the apps possess the feature of table booking but what gives this Peekhunt App a competitive edge is the feature of cover booking in clubs and pubs. This is something that you are probably looking for, aren’t you? The tagline of the app is ‘Reserve the table you deserve’. The Reservation App allows the prebooking of the table at your favorite restaurant at a specific timing for the specific number of people. Chuck off the waiting time and get your table ready while you arrive with reservation app. This is something really unique, a QR code is given while you enter the restaurant. Scanning the QR code will enable the user to check the menu and order the food through the mobile device via AddEat Restaurant App. The order will be received in the waiter’s tablet and the food will be served accordingly. Also, the company has integrated the menu message to be displayed on the smartwatch of the waiter for prompt service. The USP of this app is beacon feature integration. The app will show the list of restaurants in the beacon range when you enter any place. The app will also show the menu and allow you to order within the beacon range. You don’t have to roam around checking for restaurant, food items and their prices just sit in one place, check, order and get your food at your place. 2) Can I have a conversation with past clients you have worked for? Talking with the past clients of the company you are considering to hire will give you assurance about the quality of the work, relations with the client, the preciseness of the app delivery time, and budget. Having a chat with the past clients will give a fair idea of how the company handles the client and satisfy them. 3) What is the app development methodology the company adapts? Well, there are several methodologies, the latest and the bestest is scrum methodology. So, check with the company whether it uses scrum method and if not which methodology it adapts and why. 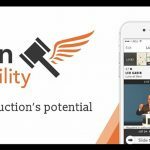 Knowing the method and the process of how the company combats the challenges will make you aware of the company’s caliber. 4) What are the experience level and skill set of the developers working on the app? The company might have experience of humongous years but the actual persons working on your app are the developers. Whats the point when the company has an experience of 7 to 8 years but the developer working on your app is just a fresher. So, make sure to ask the company about the experience and expertise of the developers, their name, their age, their qualification, number of years of experience, number of apps developed and so on. Also, check their social profiles, ask for their resume, personal projects are done (if any) to make sure you are handing over your project in the right hands. 5) Do the company provide post-app launch support? This is one of the most essential questions to ask and confirm. The development doesn’t end once the app hits the app store, there are a plethora of things to do later. Releasing updates, bug fixing, and adding new features and functionality are some of the things to be done post app launch.